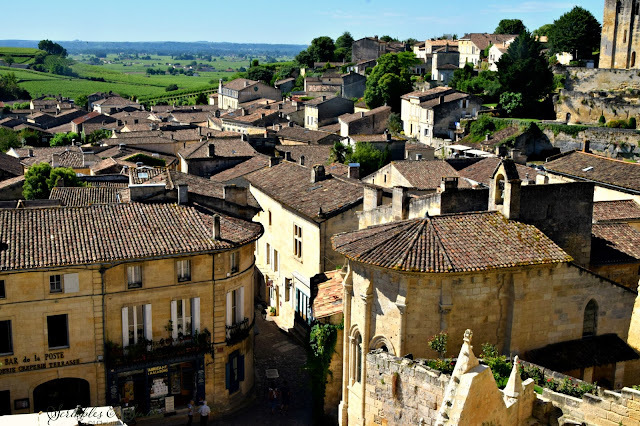 Sitting perched on a limestone hilltop like a graceful balcony above the Dordogne Valley, Saint-Émilion is a town in the Gironde department in southwest France. In 1999, Saint-Émilion became a UNESCO World Heritage Site, honored for its cultural landscape and historical vineyards. This medieval, fairy-tale town is a maze of curlicue ballast stone streets– strewn with charming storefronts, squares, and flower-laden terraces– all ready for the one million tourists who visit annually. In this honey-colored wine village, just east of Bordeaux, perhaps the most extraordinary site is the Saint-Émilion Monolithic Church, dating from the 12th century. 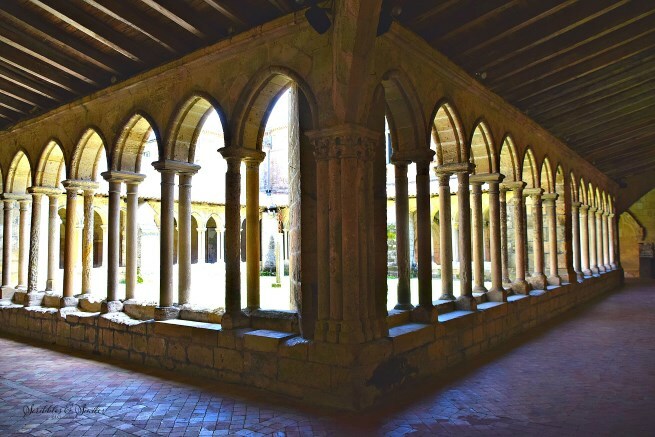 1300 years ago, a Breton monk, Émilion, came to the ancient town then named Ascumbas. According to ancient historians, Émilion slept and lived in this subterranean church-cavern like a hermit, on a stone bed. The faithful believe he performed miracles, and a seat he carved from limestone is said to aid in fertility. Inside this dark and damp grotto are 14th century frescoes and carvings, along with meters of catacombs, all forming three cross-shaped naves. 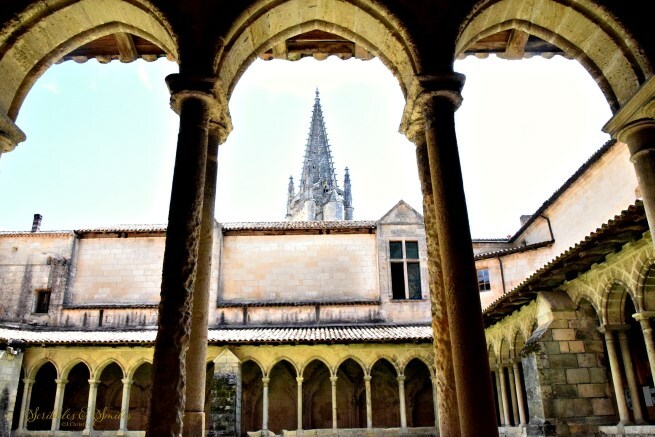 Other monks took refuge with Émilion, hiding to escape religious persecution, while traveling onto Santiago de Compostela, in northwest Spain. The most dramatic sight, from afar, is a raising steeple from the corner of the Les Cordeliers: a 15th century bell tower, soaring up 53-meters high above Saint Émilion. Climbing 200 steps upward brings you atop a glazed tile rooftop, for a majestic view across the valley of vineyards and châteaux. This beautiful town, with its scarred ramparts, bears witness to battles for control between the French and English monarchs. Every historic French town seems to have a specialty treat, along with luscious wines, and Saint-Émilion is no different. Here we find the traditional almond macaron, certainly not to be confused with the North America version of a coconut haystack macaroon. This famous Saint-Émilion macaron originated in 1620 by nuns of the Les Ursulines order. The recipe has been passed down through generations and is closely safeguarded at Veritable Macarons de Saint Émilion, situated at 9 rue Guadet. Many say the historical treat pairs well with Saint-Émilion wines (or simply gifted in the traditional blue-labeled box). 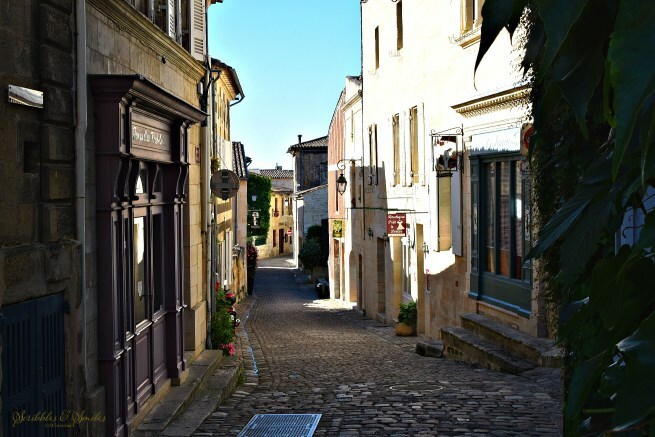 Photogenic Saint-Émilion has more than just famed wines – it will steal your heart. 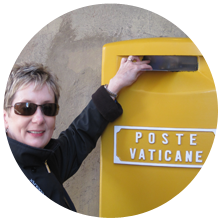 This tiny, but storied, town, weaves an incredible visual story, through Romanesque architecture, religious sites and cultural indulgence. Simply put, it’s a one-of-a-kind destination. 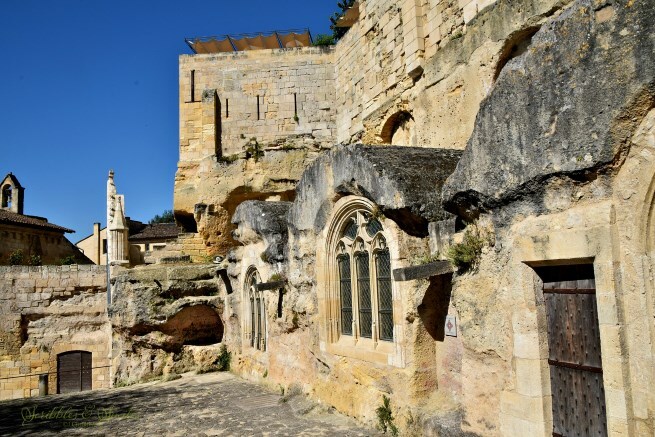 Saint-Émilion is a quick train, car, or bus ride from Bordeaux, and the town is easily explored on foot, by petit tourist train, or even via tuk-tuk. What a beautiful place and as a UNESCO Site somewhere I really need to add to my list! Thank you for the kind note and visiting my blog. You can find me in Facebook & Instagram too.